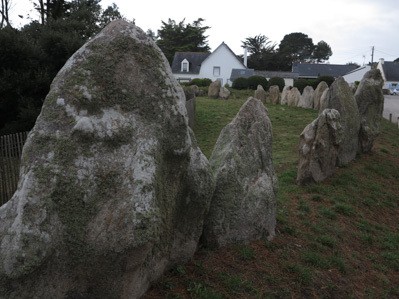 Let's take a look at the megalithic monuments on the way down to Quiberon. 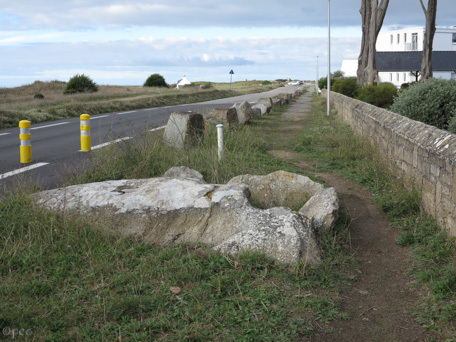 When you have passed the narrowest part of the peninsula, you'll soon be in Saint-Pierre-Quiberon. 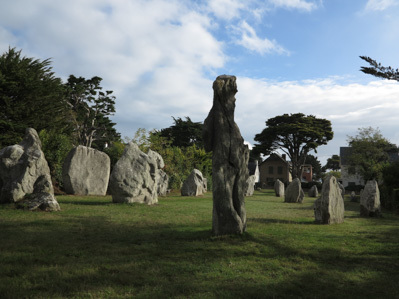 There you can stop by at cromlech and alignements de Kerbourgnec. 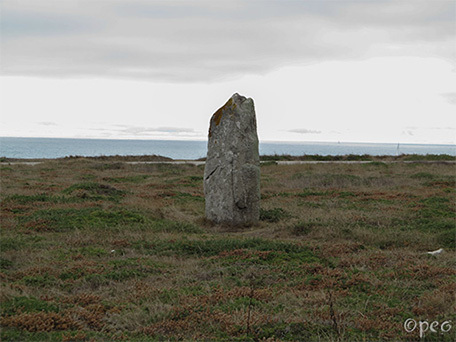 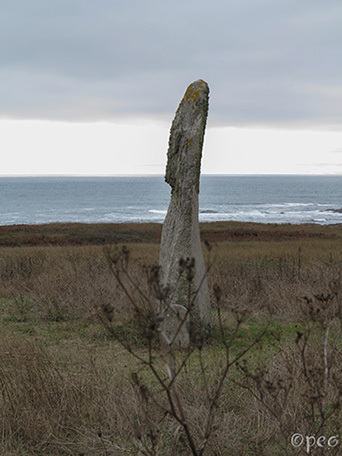 Above are some of the standing stones that are standing on the west coast of the peninsula, north of Quiberon town. 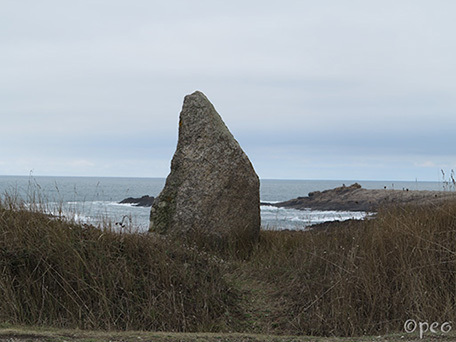 Two photos of dolmen de Conguel, which is situated next to Boulevard de Conguel, and that's as far south as you can come by car on the Quiberon peninsula. 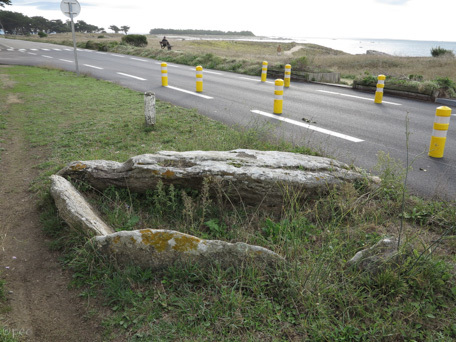 The dolmen is in a very bad state, but there were some interesting pieces of pottery found in it. 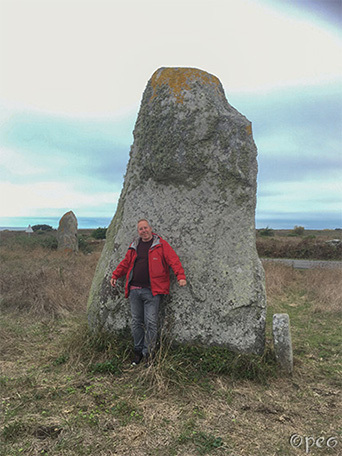 The top left standing stone, the Goulvarch menhir, is standing about 300 meter north of the dolmen, and it's 6 meter tall, while the bottom right stone is a bit smaller. 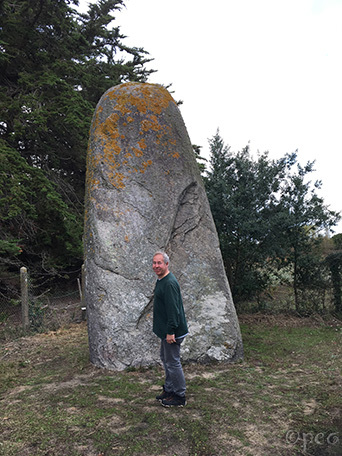 You'll pass it on your way from the dolmen to the Goulvarch menhir. 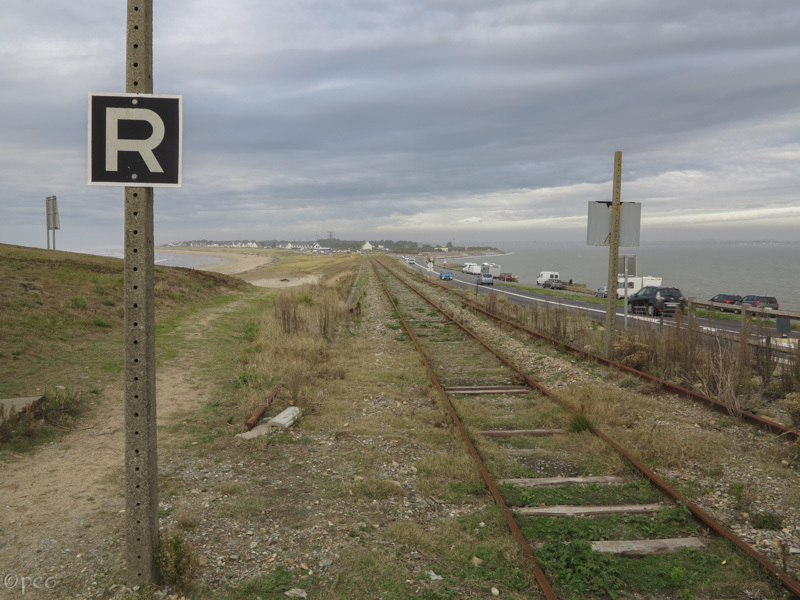 Going northwards again on the road along Côte Sauvage. 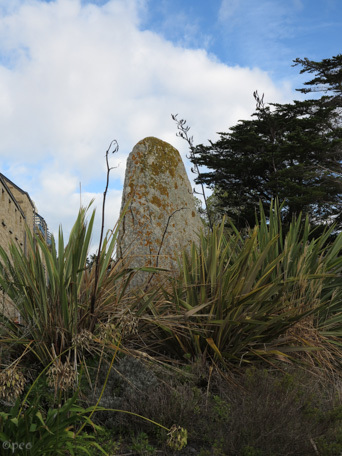 There's a parkinglot opposite to Rue de Beg en Aud. 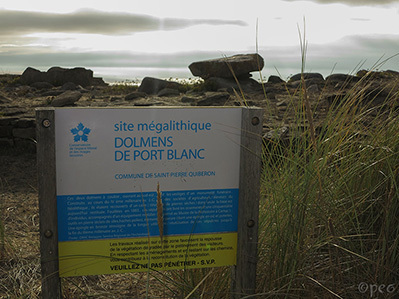 From there it's 200 metres to the dolmens de Port Blanc. 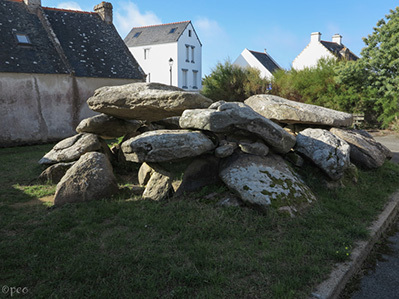 Going eastwards on Route de Roch you'll find dolmen du Roch at Rue du dolmen.